Maria and the very first pumpkin she has carved herself. 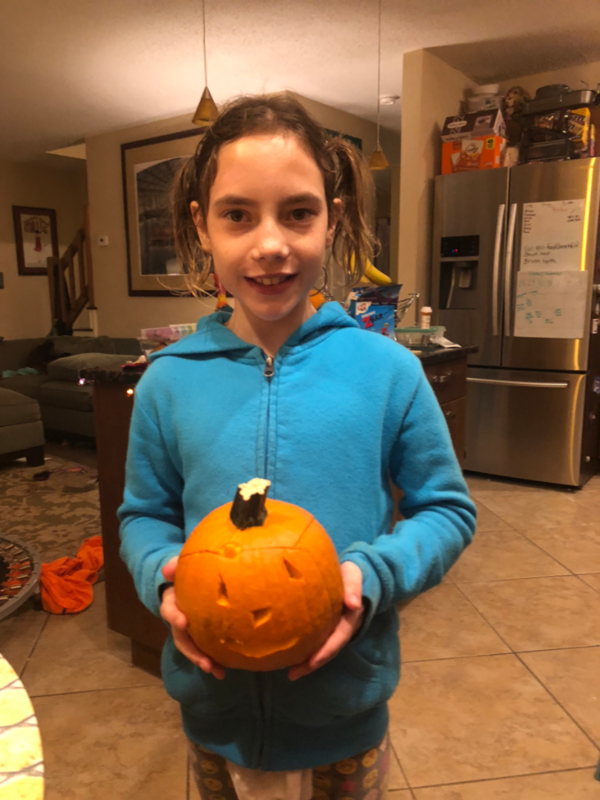 Wow Maria, your pumpkin is fantastic! Great workout!!!!! !